Henley Honda | Honda Certified Vehicles | Back to School on a Budget? Buy Used Instead of New! Back to School on a Budget? 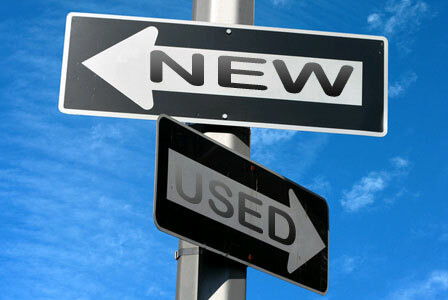 Buy Used Instead of New! Are you looking for a car to get you around campus, or to and from that crucial job interview, but don’t want to break the bank? Well look no further than our used car selection. Henley Honda offers a wide selection of gently used vehicles that maintain the quality, safety and driveability that you would expect our dealership to provide. In the meantime, take a look and see why a used car is perfect for you! If you are on a tight students budget, or just don’t have the money to spend on a new car, used cars provide a great alternative. Whether you want a fully-loaded luxury vehicle fit for a king, or you want a simple 2-door, no nonsense, fuel efficient car, Henley Honda has you covered! We will find you the perfect vehicle to fit your budget and lifestyle every time! Cars today are made to last for a very long time. With a used vehicle from Henley Honda, you know you are getting a quality automobile, for much less. We stock only cars that meet our Honda Certified level of standards, and only cars that we’d feel safe and comfortable with driving for ourselves or having our loved ones drive. At Henley Honda, we want to make sure everyone who leaves with a car from us will be safe and comfortable in their vehicle – new or used. When searching for a new vehicle, you are most likely limited to cars from the past year or two, as anything older than that doesn’t usually stay on the lot. With a used vehicle, you have the opportunity to select from a vast array of makes and models, that may not be available anymore. This means you can find that colour that you’ve always been dreaming of, or that specific model from a specific year that you always have loved. Let Henley Honda help you find a vehicle to suit all of your needs. Check out our used car selection or come visit us at the dealership!